We’ve done our share of free walking tours in our day. From the visceral experience of strolling around the war-torn town of Sarajevo in Bosnia & Herzegovina, to learning about life in the former communist capital of Tirana in Albania, these tours are always a highlight of our trips. 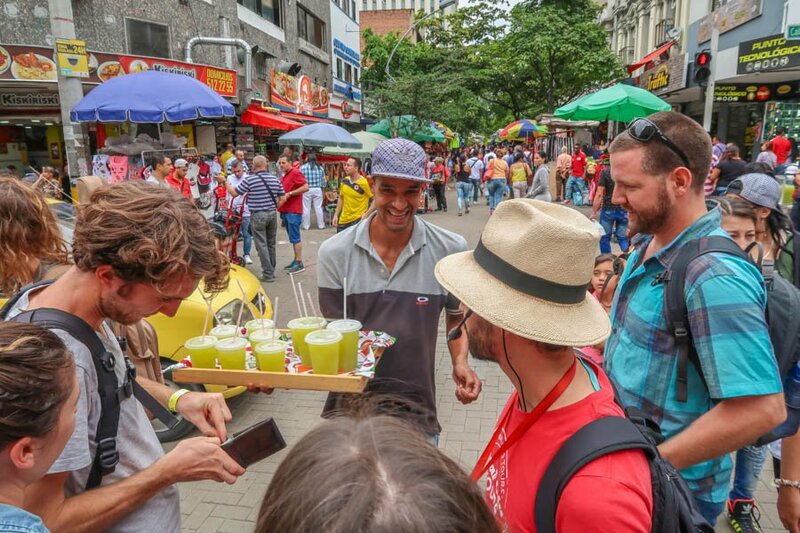 But the Medellín Free Walking tour with Real City Tours definitely takes the cake as the best walking tour we’ve ever done. 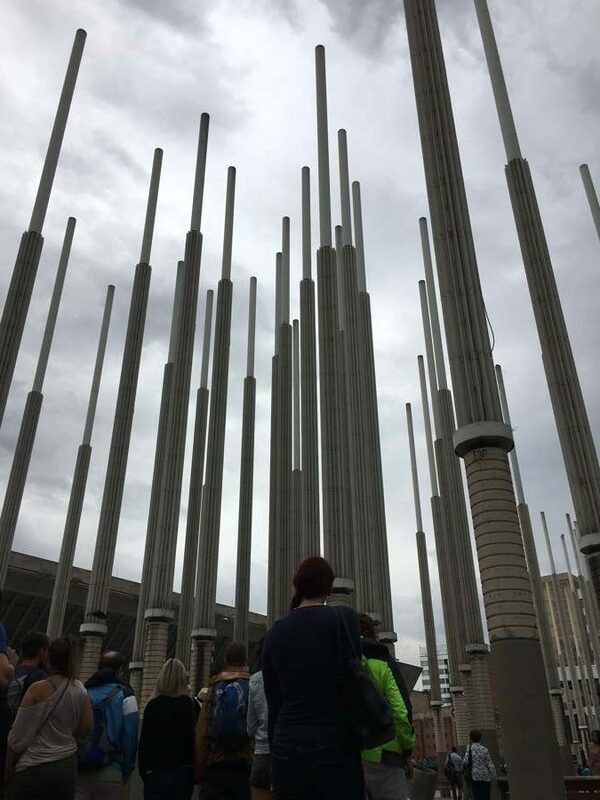 There are so many things to do in Medellin, and this tour should be the first thing you do. Please Note: We did get this tour for free, but so does everyone else! It’s a free tour 🙂 We are in no way working with Real City or paid to promote them in any way. We just loved the experience and wanted to share it with you. The tour started just outside of Alpujarra Station on the pedestrian bridge overlooking the busy street below. As Canadians, we’re overly punctual, so we arrived quite early and watched as the group of gringos formed at the meeting point. First there were 5 people, then 10, then 20 and by the time the tour was ready to begin, there were probably close to 70 people waiting. 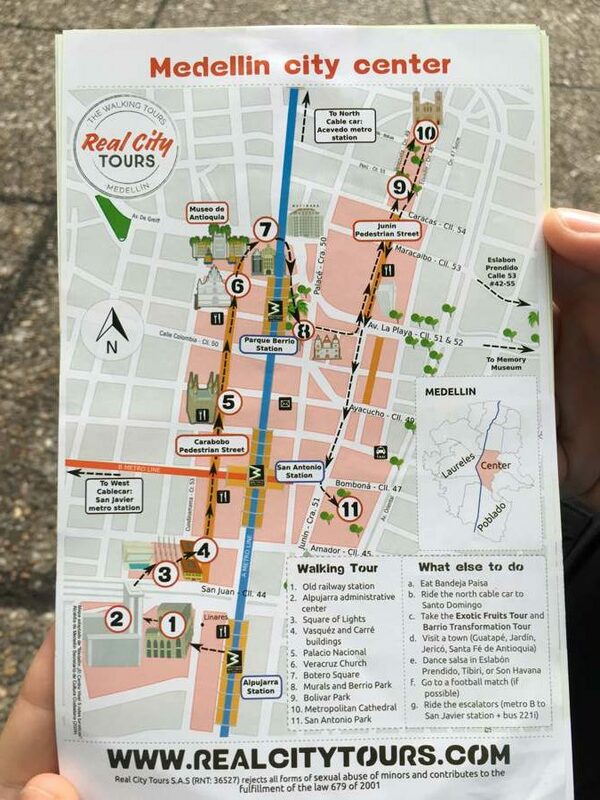 Luckily, Real City had numerous guides and we all split up into groups of no more than 25 people each. We were quickly funnelled into lines where we showed a screenshot of our reservation on our smartphones and told our guide, Pablo, our names. He quickly wrote each person’s name down on a piece of paper and from there, we walked to our first stop where Pablo had us all sit down on a flight of stairs. This is where Pablo truly amazed us. As he does with every single one of the groups he guides each day, Pablo remembered each and every one of our names and introduced himself to us and the rest of the group. That’s right, 25 names from all over the world, some very difficult to remember (like Dariece). He barely hesitated as he moved from one traveller to the next, easily recalling their name and face from when he wrote them down on a piece of paper just 10 minutes before. For me, this is an incredible feat because I suffer from a pretty severe case of nominal aphasia, which means I am terrible with names. This guy Pablo was like a savant! Somehow he knew everyone’s name and face and by the time he was done introducing each of us and asking us where we were from, he also knew our nationality by heart. A pretty amazing trick! From there Pablo had our attention and our respect. He first described his people, Paisas (those from the Antioquia region of Colombia). He confessed that his people are overly prideful, but also boasted about how they’ve made a name for themselves in Colombia and around the world. He walked us through the city and explained the history in a very unique way. Instead of boring us with hundreds of exact dates that we would all soon forget anyway, he instead told the history of his country and the national mentality of his people through metaphors, poetic tales and first hand experiences. He explained to us how Pablo Escobar created a stigma around not just Medellín, but all of Colombia. He told us how hard it is for him to travel with a Colombian passport, but even worse for him, his passport says he’s from Medellín and his name is Pablo! Needless to say his country’s history and reputation still has a strong effect on his life, even to this day. Pablo recounted a time when his entire city lived in despair. When bombs killed friends, family members and fellow Paisas on a daily basis and when a terrorist who shared his name, ran the city with fear. But the tour wasn’t all doom and gloom. It was fascinating how Pablo described the national psyche of the Colombian people. There have been numerous studies in recent years that show Colombians to be the happiest people on Earth. But how could they be so happy when they have such a violent and tumultuous past? 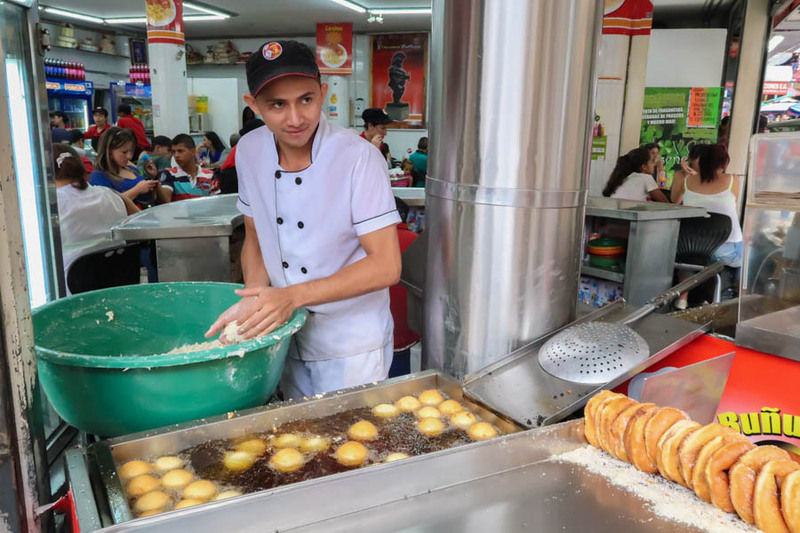 Pablo poignantly explained that the Colombian people have an uncanny ability to forget the bad parts of their past and instead, cling to what is good and look towards a brighter future. They use any bit of positivity in their lives to drag themselves from an otherwise depressing existence. Basically, Colombians don’t just overcome adversity, they beat it down and then stand proudly on top of it. Of course, he also took us to many of the best sights in the city. We visited Carabobo Pedestrian Street, Parque Berrio Station, The Metropolitan Cathedral, San Antonio Station and more. We saw places that have been transformed from dangerous drug havens to bright plazas that beam with hope and pride. This is the story of Medellín. It’s a place that has undergone a remarkable metamorphosis in the past decade. The city is slowly pulling itself out of a cocoon of crime, drugs, kidnappings and murders and trying to spread its wings and become a safe, secure metropolis that’s worth visiting. There are still issues here, as Pablo explained. There are still many areas where you simply don’t go and even during the tour, Pablo had to (somewhat shamefully) ask us to watch our belongings. 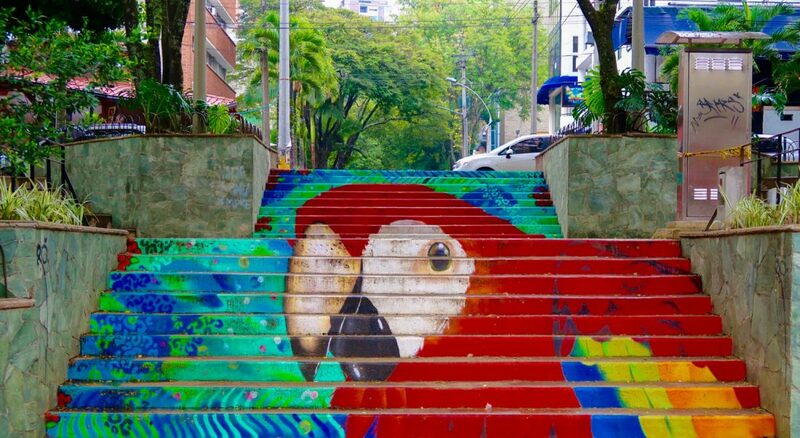 But Medellín is generally safe, as long as you have your wits about you and know where to go and where not to go. At some points in the tour, Pablo became incredibly theatrical, but his expressions and passion weren’t just to keep us entertained, it seemed like he truly felt the words he was saying. When he spoke of grenades and bombs going off in his city, or of blood, crime and murder, he would be quiet and speak in a solemn tone, but when he began to speak about how resilient his fellow Paisas are, his tone would pick up and he would shout with a bold pride and exuberance typical of his people. 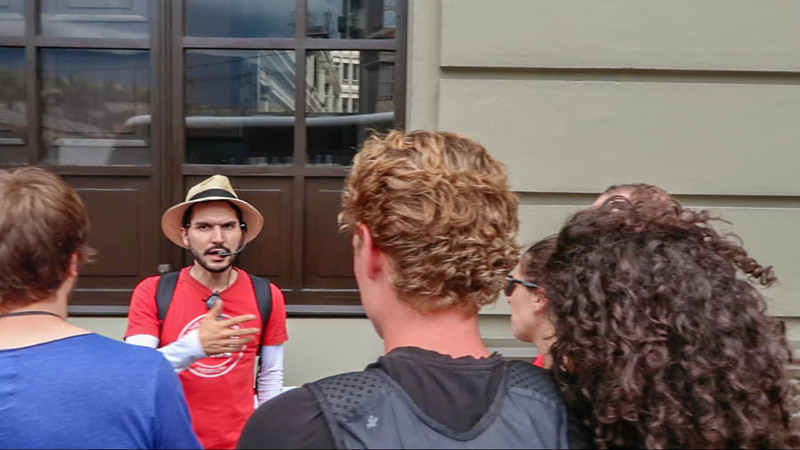 By the end of the tour, we truly had a much deeper understanding of Medellín, its history and the Paisa people as a whole. 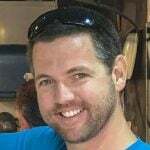 It’s not easy to get a crash course on a country or region so quickly. You could probably live or travel in Medellín for months without gaining as much knowledge as we did on this “short” 5 hour tour. 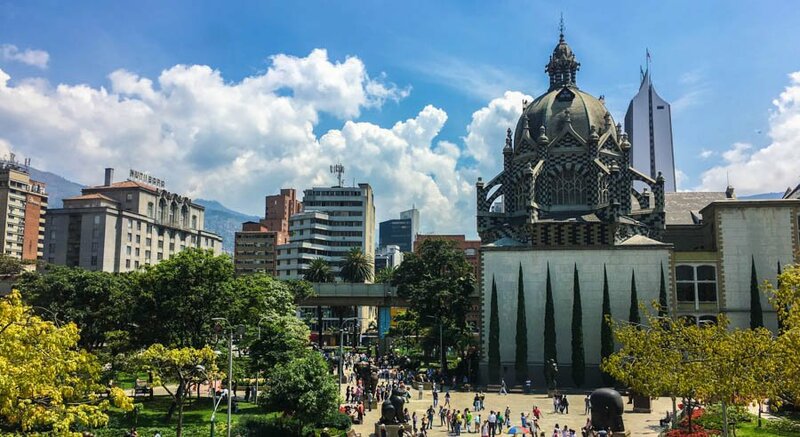 We highly recommend that anyone who visits Medellín does this walking tour and ideally, in the first day or two of arriving. 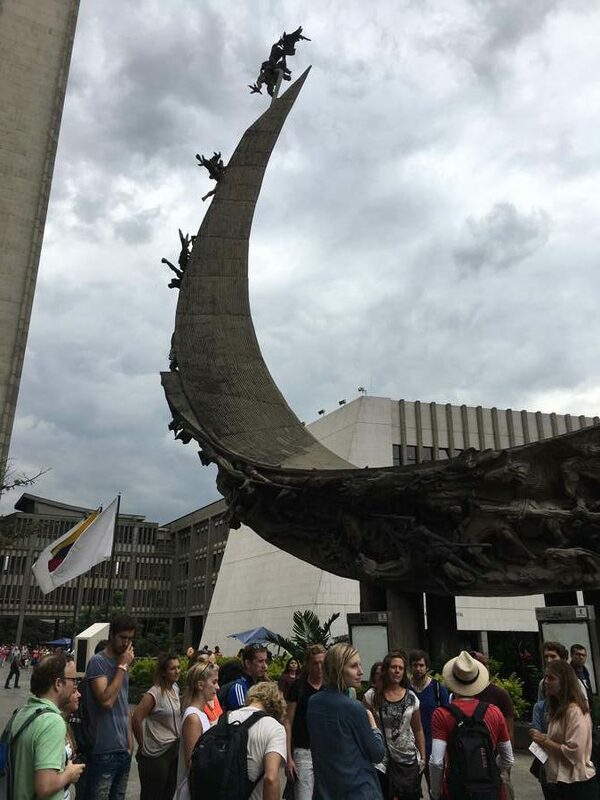 The tour will give you a greater understanding of not just Medellín and Paisa people, but the history and psyche of Colombia as a whole. Okay, we’ve raved enough about this tour, now it’s time for some important info to help you plan and book the experience for yourself. 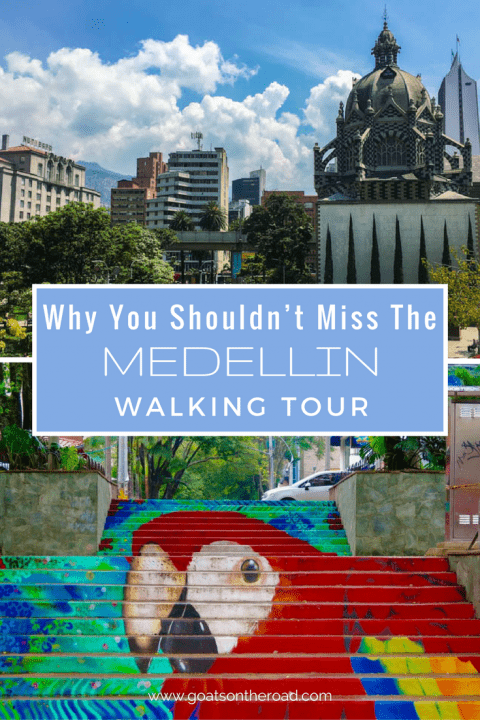 We highly recommend doing this tour at the start of your visit to Medellin and ideally the start of your Colombia trip. There are morning and afternoon tours Monday to Friday, but only one morning tour on Saturday and the tours don’t run on Sundays. Again, we weren’t paid or endorsed in any way by Real City Tours. We just loved the experience and wanted to share it with you!